No matter what you wear to whatever Christmas session you're going to, this fancy blazer will be an awesome finishing touch. 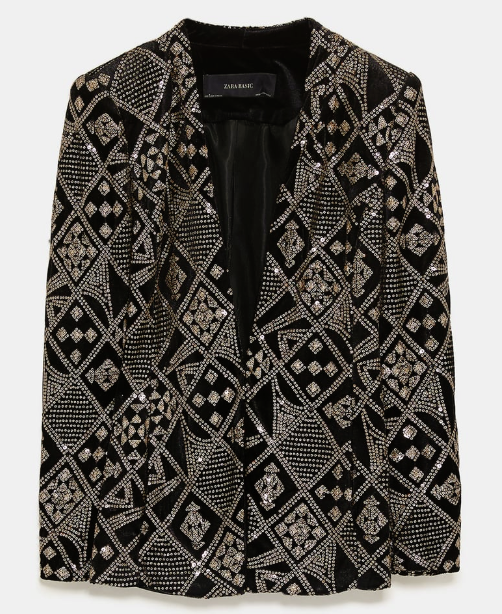 This fancy blazer is for those days when you just want to wear black. It's for when you only want to wear your trusty jeans (or these handy €9.99 pants). At Christmastime, to be honest, the only pieces more important than your party dress or your killer dancing shoes is your jacket. With this, you don't have to worry about accessories. You can wear your hair up in a cool but no fuss topknot. Just wear it with a cami and pants or your LBD, and you are good to go. It's a showstopper that will be a talking point and will help you get party-ready in no time at all. 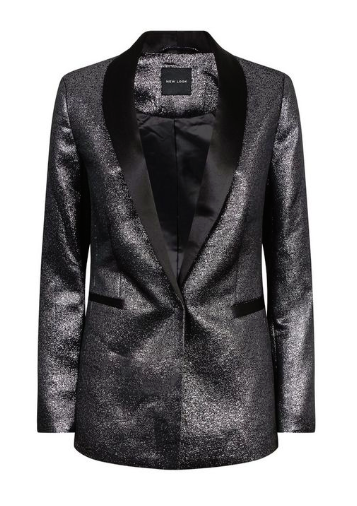 It's got it all; it's made with velvet-effect material (so far, so Christmassy); it is covered in glitzy gold sequins, and the colour palette will go with all of your festive outfits. 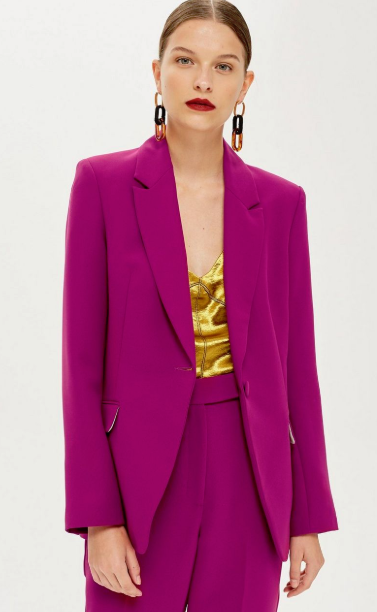 I love a blazer for Christmas style - and I would hold onto this for festival season, too - but, if this doesn't float your boat, we've found a couple more jackets that will do the job. There's even better news with this one; New Look has a pair of matching trousers to go with it. If you were looking for something 'alternative' to wear to (one of) your Christmas party, this could be it. It may be magenta, but it still manages to be a wholly multi-functional fancy blazer for Christmastime. It adds that 'pop of colour' that your Christmas outfits might be lacking. Have you got your Christmas outfits sorted? Will one of these blazers be the finishing touch you were looking for?